The University of Arizona's High Resolution Imaging Science Experiment (HiRISE) camera is an incredible piece of equipment. Currently circling the Red Planet aboard NASA's Mars Reconnaissance Orbiter, the instrument is capable of capturing photographs of the Martian surface at unprecedented resolution, averaging about 25 centimeters per pixel. In the five and a half years that it's been snapping photos, HiRISE has capture close to 22,000 images of Mars' surface. In doing so, it has provided a tremendous service to researchers throughout the scientific community, but equally impressive is the progress that HiRISE has made in the realm of public outreach, bringing stunning, high-quality imagery of the Martian surface to the general public on an international level. io9 recently sat down with HiRISE Principal Investigator Alfred McEwen, and head of HiRISE media, Ari Espinoza, to talk about the science being done by HiRISE, its usefulness to NASA's rover missions, and how its incorporation of public outreach has led to it being called "the people's camera." There's no question that HiRISE's photos of the Red Planet are impressive [it's not uncommon for a single HiRISE picture to contain over 100 times the information found in a photograph taken by a 10 megapixel camera], but I think many people are still curious about what we stand to learn from super high resolution photographs of another planet — just how valuable are these images, really? Alfred McEwen, planetary geologist and HiRISE Principal Investigator: We've learned all sorts of things from HiRISE. We have [contributed to] over 200 scientific publications at this point in time, and we're learning about all aspects of Mars, from ancient to modern. Some of the most interesting, to me, recently, with our multiple martian years and repeat imagery is seeing things change [McEwen is referring to long-term observations of individual locations on the planet's surface. Earlier this year, such observations helped inform the hypothesis that liquid water could be flowing seasonally on the surface of the Red Planet]; and learning about active processes on Mars. We're seeing sand dunes migrate, we're seeing gullies form, and we're seeing lots of changes in icy processes, new impact craters — all of that. But HiRISE didn't receive the green light from NASA for all the science that it makes possible — at least not entirely, correct? AM: What [NASA] really wanted HiRISE for was to support landers on the surface [of Mars]. Particularly for finding the best and the safest landing sites... and also for driving the rovers. The Opportunity rover used HiRISE images to drive from Victoria to Endeavor crater much faster than it would have been able to without HiRISE, because we could see where all of the loose sand ripples were that [rovers have gotten] stuck in previously, so we could avoid all of those. And Opportunity is coming up on 8 years on Mars. Coming up later this month, yes? AM: That's right — we've been there since 2004. So, you mentioned rovers. Curiosity, obviously, just launched back in November, and should reach Mars by August. It sounds like HiRISE must have been instrumental in selecting Gale Crater as the landing site. Yeah, we have hundreds of images of Gale and the other candidate landing sites — basically wall-to-wall stereo coverage [stereo pairs offer three-dimensional views of the surface], so those are very well imaged areas. We'll keep imaging after [Curiosity] lands, as well; and we're going to try to image it as it's descending on the sky crane. We imaged Phoenix on the parachute [said image is featured here, click it to get a good look at Phoenix descending to the Martian surface via parachute], so we're going to try that again — that'll be fun. When you managed to photograph the Phoenix lander, did HiRISE just happen to be in the right place at the right time, or was that something that was planned, and that you decided you would try to catch a picture of? AE: Actually, [the decision to photograph Phoenix's descent] was fairly last-minute. When the idea first came up I laughed. I said "that's a great idea, but they'll never approve it," but they did! And we were somewhat lucky in that there was a fairly large error ellipse (uncertainty about about where [Phoenix] would be at the time we were imaging); but our geometry was such that we managed to cover most of it, and had somewhere in the neighborhood of 80% chance of success of imaging [Phoenix] as opposed to missing it. We may not be as lucky [with Curiosity]. That being said, Curiosity's predicted landing ellipse is smaller than it has been for previous rovers and landers, correct? In any case, it sounds like HiRISE will be almost definitely be used to seek out future landing sights? We've already started… The next potential lander/rover is in 2018, a joint project with the Europeans [The project McEwen is referring to is The ESA-NASA ExoMars Programme]. The process has already begun of choosing candidate landing sites and getting a few images done, and then there's a down select from a large number [of landing site candidates] to a smaller number, and then we get more intensive image coverage to try to cover the whole landing ellipse. Has HiRISE begun looking for any potential manned landing sites? No one has directed us to do that...it's too far off in the future, I guess. But any candidate landing site that we do for unmanned rovers are all, automatically, probably candidates. And HiRISE has taken plenty of pictures of things other than potential landing sites, too — how many images to date has HiRISE captured, anyway? AM: I'm going to give you an exact answer [checks computer]: we have completed 21,940 observations of Mars. Wow. So how much of the planet's surface have you accounted for? AM: [Checks computer again] Here it is right here: it would be... 1.41% — if it was all unique coverage, which it isn't, because we repeat images to look for changes [in the Martian landscape over time] and for [stereoscopic images] and so forth, so it's a huge amount of data that covers a very small fraction of the surface. That's incredible — how many of those images can you realistically inspect in their totality? AM: It's very hard to look at all the data at full resolution. I've tried to look through a single image at full resolution, scrolling through it frame-by-frame to look for, you know, a lost lander or something. Half way through I realize: I'm not thinking about what I'm looking at anymore! My mind is like, "I can't do it — I can't do a whole image!" Right, because HiRISE images can get absolutely massive — well over a gigabyte in size, correct? Which is awesome, because HiView is available for public use. You mentioned earlier that you had looked through high resolution imagery frame by frame in search of past landers… do you use HiVIEW yourself? AM: Yeah! I use HiView all the time; It's open right here… It's very quick to scroll around and you can see images come in, but it's very quick — there it is, at full resolution. The public availability of HiView touches on something that makes the HiRISE especially unique, and that's how hard you and Ari [Espinoza] have worked to implement public outreach into the project. Was outreach part of the plan for HiRISE from day one? AM: That is something that we planned to do right away. We didn't succeed in making it available initially, because we developed this planning tool that directly accessed our database, and we realized that a clever person could download the tool and change it to do nefarious things… It took us a while longer to develop a new tool that was ok to release to the public, but it's been our plan all along to do that, yeah. But there's more to HiRISE's outreach efforts than HiView, correct? Ari, you've been instrumental in giving life to HiTranslate, as well — would you give us a recap of what that is? Ari Espinoza, project coordinator of HiTranslate and head of HiRISE Media: [We've always] called HiRISE "the people's camera," so I thought: "exactly how can we extend [that concept] to reach people who would like to know about Mars, but whose English skills are either non-existent or very shaky?" Our captions are basically written for the public to begin with [thousands of the HiRISE's images are captioned by the researchers who study them; click here to see the caption for the image featured here, as written by McEwen himself just a few days ago], so I enlisted as many volunteers as I could find who were interested in learning about Mars, and wanted to translate captions. It's been extremely successful. We're going to hit [the anniversary of HiTranslate's inception] in March, and over 1,500 combined captions in four languages [Portuguese, Italian, Greek, and Spanish] have been translated. [And] HiTranslate is just [one extension] of some of the other public outreach that we've done. Look at HiWish, for example. HiWish allows anyone to sign up and suggest places that HiRISE should photograph next — you have to have a good rational for it, of course, but we can use… captions as a way to tell people: "this is how to write a good rationale…this is what we're looking for." Are you guys looking to expand HiTranslate to any other languages? AE: As many as possible...the French version will be out in a month. People are hearing about it and people want to know more. Do you actively go out and seek translators to help you with this, or is this something that people could contact you about? Are there any particular channels that they should go through? AE: Both, actually. I try word of mouth and try to solicit as much as I possibly can when venues are appropriate. Those interested in translating can learn more on the HiTtranslate participation website or email us [at hitranslate@uahirise.org]. Awesome. So what do you guys think — are high-resolution cameras something that you believe will become a bigger deal looking to the future? Is this technology the kind of thing we're going to try to send more places? Alfred McEwen: I wish. 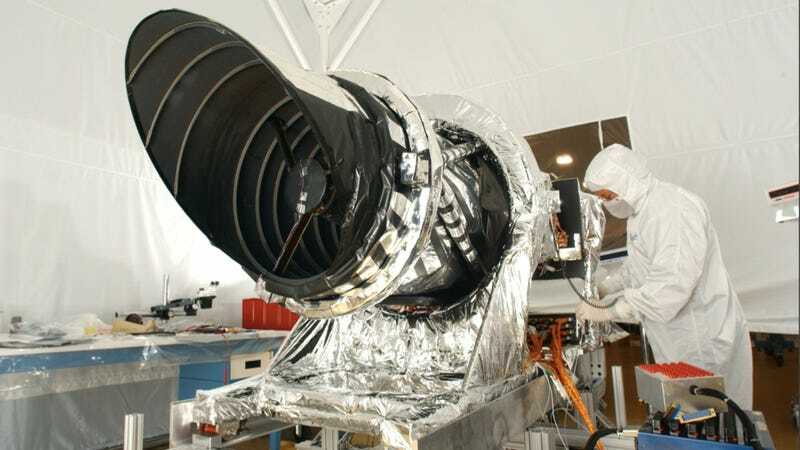 It's expensive, a camera that big, and a spacecraft that can accommodate the camera. The whole program is under a lot of stress now with the federal budget and so forth. So it doesn't look like that's about to happen in the imminent future — we'll see though. In fact, the failure of the super committee to reach a consensus on the budget is going to enact broad-scale budget slashes come 2013 — do you think science stands to suffer some major blows as a result? AM: Well, that's true. We're anxiously awaiting the administration's FY13 [fiscal year 2013] budget, which is supposed to come out in February, and we'll have more details that will affect us. [Congress] may make that somewhat different; but it's usually, you know, somewhat worse. And that's the best you can hope for, you know, so yeah, we're waiting on that. Times are tough for all of this business. Does HiRISE, in particular, stand to suffer any major setbacks? AM: Well, one of the things that will happen is a senior review for all the extended missions. That will include [The Cassini orbiter], [Mars Reconnaissance Orbiter and HiRISE], the [Lunar Reconnaissance Orbiter] and so forth. There's quite a few of them, and they don't want to commit to what our budget is until they know the FY13 budget, which is disturbing because these extended missions are so cheap to NASA, and yet they're worried about committing to it. It's got the highest science return per dollar — the instruments are already built, everything works, everybody knows what they're doing; they're just collecting more data. So it's got a very high science return per dollar and it should be fully supported, and they shouldn't be vacillating about it but they are. Just look at the Kepler mission, right? AM: Exactly. Kepler has had absolutely spectacular results. The idea that you would not fund it to keep doing that is totally absurd. Or that you cut their budget in half so they have to struggle just to get anything done is just absurd. This interview was conducted by Robert Gonzalez. Many thanks to Alfred McEwen, Ari Espinoza, the University of Arizona Lunar and Planetary Laboratory, and the UofA Department of Planetary Sciences. You can learn more about HiRISE over on the project homepage. Follow these links to learn more about HiView, HiTranslate, and HiWish. io9 readers in Arizona may be interested in Mars and Beyond, a Science Downtown exhibit presented by UAScience with an emphasis on the mysteries of the Red Planet.